John Hannah was born in Paisley in 1921. 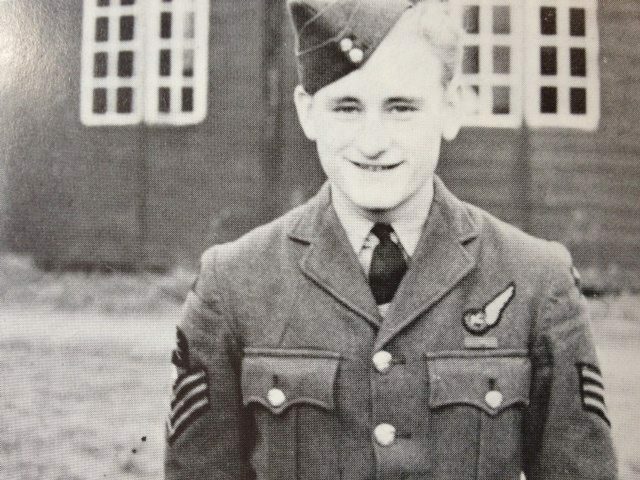 At the outbreak of World War 2 he joined the RAF and became a wireless operator in Bomber Command. On 27 September 1940 his aircraft was hit during a raid on Antwerp and a fire set off ammunition exploding on board. Sergeant Hannah fought the fire with extinguishers then with his log book and enabled his pilot to bring the Handley Page Hampden safely back to base.